How much does it cost to keep a ferret? Do you know how much it costs to buy and look after a ferret? 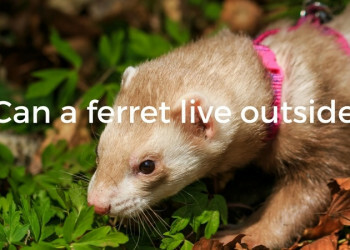 Learn more about keeping ferrets as pets. Is your ferret insured? Get a quote for up to £2,000 of vet fee cover | Insure up to 3 pets per policy | We’ve been insuring exotic pets since 1996 | Check out our customer reviews on Feefo. Ferrets make great family pets. They are playful, curious, intelligent animals and combine some of the best features of both cats and dogs. How much is a ferret? In the UK, ferrets sell from between £10 - £100. Female ferrets known a (Jills) are usually more expensive to buy than male ferrets (known as Hobs). The cost of buying a ferret can also be influenced by its colour and length of its fur. Angora ferrets which are a relatively new breed of ferret have longer fur, they tend to be more expensive to buy then non-Angoran ferrets. You may pay more if your ferret has been: vaccinated, neutered, spayed, or microchipped. Where can you buy a ferret from? 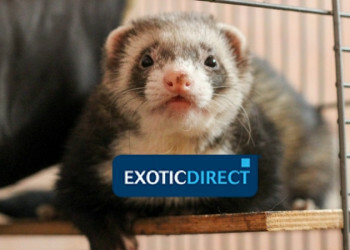 It’s recommended that you find a reputable ferret breeder or ferret rescue or rehoming centre. Buying a pet online can be risky and could mean you end up paying more expensive veterinary bills if you don’t know the family history of the ferret you are buying. How much is a cage for a ferret? Prices range between £100 - £300 depending on the size you want. Buying a cage or hutch will be one of the most significant costs. You can expect to pay between £150 - £300 for your cage. The price you pay will naturally depend on the size you choose for your ferret. Smaller single habitat cages will be cheaper than double habitat cages. If you intend to keep your ferrets indoors, you need a cage measuring at least 90cm in width x 60cm in depth x 150cm in height with multiple levels. If you’re going to have more than one ferret you should pick a double habitat cage. One alternative to indoor cages are rabbit pens which can be customised to meet the needs of your ferrets. Outdoor homes for ferrets can range from large double or triple hutches to full courts built to the style of an aviary. Prices start from £60 and increase in price depending upon the size and number of levels included in the hutch. Could you advise where they can be bought and link if possible? According to the RSPCA, suitable accommodation for ferrets would be a hutch measuring 5ft x 2ft with an attached 6ft run. You should consider buying a 5ft double if you’re going to house 2 ferrets. A 6ft double hutch can comfortably accommodate 3 or 4 adult ferrets. A Chicken Coop can be modified into a great home. They can be modified for ferrets and provide a warm sleeping area and a big run area in the bottom with space for toys. Could you offer a price for sheds and where they can be bought? An alternative to having a cage is providing a shed outdoors for your ferrets. Sheds are often cheaper than buying hutches and coops and they can be modified for ferrets by putting in toys such as tubes and funnels. Ferrets are sociable animals and enjoy the company of other ferrets who they can play with. Ideally a cage should have several levels with enough room for toys, food and a toileting area. Ferrets cannot be caged all the time and require human interaction at least once a day. They also need the freedom to run, jump and explore both in their cages and in their owners’ home. How much are bedding and nesting materials? Most bedding products are sold according to litre size. You should be able to buy bedding between 10 & 20 litres for between £2 - £10 on average. Anything above 20 litres will be more expensive. 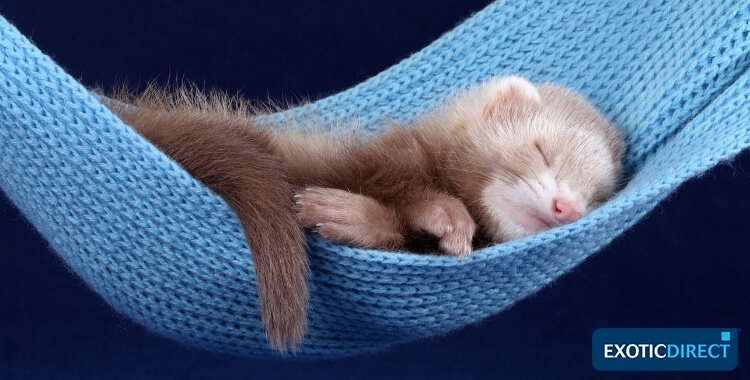 You can buy bedding for your ferret in a range of textures, scents and sizes. Alternatively, a cheap and affordable way of a creating bedding for your ferret is by using old t-shirts. Whichever you choose, suitable bedding is really important for your ferret as they like to nestle and burrow whilst playing and sleeping. 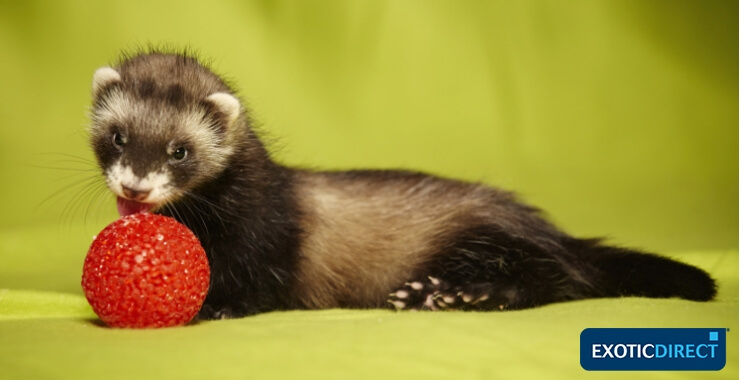 What is the cost of ferret toys? Ferrets are intelligent animals and need to be stimulated with activities such as challenging puzzles and games. Suitable toys for ferrets include cat and baby toys. Tunnels and tennis balls are also great fun for ferrets. You can buy toys from online retailers or keep the cost down by visiting charity shops. How much does it cost to feed a ferret? 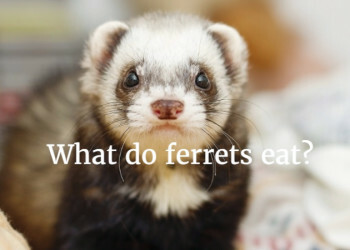 Ferrets are obligate carnivores (they only eat meat) and because they have such a fast metabolism, freshwater and food should always be available. What dried ferret food can I buy? You can feed your ferrets dry food. You can pick high quality ferret or cat/kitten foods sold by pet shops. The cost will depend on the amount you want to buy and the brand. Most brands sell in packages between 2 – 10kg. Taking an average of 2kg you can expect to pay between £7 - £10. Ferrets need a balanced diet and proper nutrition. This will allow them to lead long, active, healthy lives. One way of saving money on food is to buy online or from a local raw feed shop. This is much cheaper than buying from a supermarket. Adult cat food and dog food are inappropriate for ferrets. Some breeders argue that the best diet for ferrets is a strictly raw meat diet. This may not always be possible for all ferret owners but generally, anything apart from meat is potentially poisonous to ferrets. They are also lactose intolerant, so feeding dairy products should be avoided. Just like with dogs and cats, ferrets will need annual visits to a vet for vaccinations. You will need to speak with your local vet to establish their exact prices as they will vary between surgeries and different part of the country. 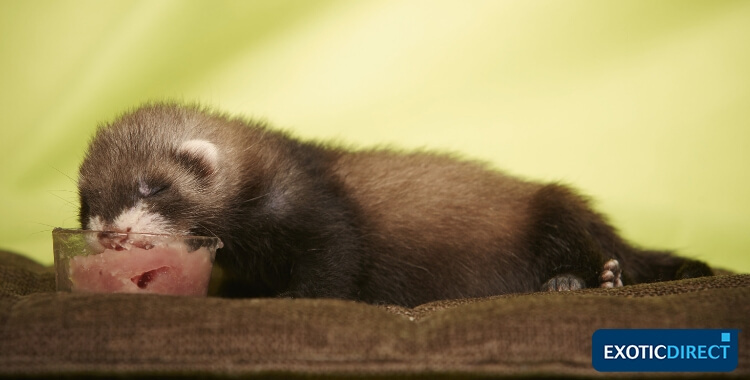 If you decide to buy a child ferret known as a kit, you will need to take it to a vet. The vet will need to check for parasites, fleas, ear mites, and any birth defects. The vet will also give a variety of vaccinations: Distemper at two and three months, rabies at three and four months. How much is micro-chipping for ferrets? Spaying and neutering should also be part of your long-term plan for a ferret. Male ferrets should not be neutered too early in their lives. Early neutering prevents them from developing into all their hormones and this can cause more medical problems in the long run. Ferrets should ideally be neutered at 1 year of age and after puberty. This will allow their hormones to develop. They also tend to have a longer life expectancy than ferrets neutered at a younger age. Males can also be temporarily neutered with a hormone implant. This can help reduce aggressive behaviour along with the intense smell associated with them during the mating season. Spaying is the female equivalent of neutering. With spaying, both the ovaries and the uterus are removed which means the female is unable to become pregnant. An alternative to spaying is to get the female ferret implanted. This allows owners to breed once the implant stops working. A benefit of neutering animals is that it can reduce the risk of them being stolen for breeding. It can also help owners avoid expensive vet fees for problems that occur during and after pregnancy and when giving birth. Consultations for when your ferret is ill or injured will depend on individual vet surgeries, but you can expect to pay between £25 - £50. Dental checks and regular flea/worming treatment should also be part of your ferret’s general medical care. Buying any family pet requires time, commitment and significant financial investment. Keeping your ferret well fed, comfortable, and in an active environment will keep them happy and prevent illness and disease. Learn about cage setup, safe and unsafe litters, cleaning, toileting and playtime for your cute little ferret!